Apr. 4, 2019—Legendary vocal group Rascal Flatts was honored with a star on the Walk of Champions at Monroe Carell Jr. Children’s Hospital at Vanderbilt for the band’s longtime commitment to patients and families. Presenting the award were representatives from Live Nation and Children’s Hospital. Apr. 4, 2019—Those attending Vanderbilt University Medical Center’s Women’s History Month panel on March 27 were schooled on the importance of risk taking, mentoring, self-care and how to advance in historically male-dominated fields such as information technology and supply chain management. Mar. 29, 2019—Leaders of Vanderbilt University Medical Center (VUMC) today announced plans to purchase Tennova Healthcare-Lebanon, a two-campus facility licensed for 245 beds, from subsidiaries of Community Health Systems, Inc. (CHS).  A definitive agreement has been signed for the sale of the facility and related businesses, including physician clinic operations and outpatient services, to VUMC. Mar. 28, 2019—Tom Deweese can keep up with his grandchildren because of a highly specialized surgery using hot chemotherapy that saved his leg. Mar. 28, 2019—Speakers at the inaugural SCRIPS Spring Symposium (Supporting Careers in Research for Interventional Physicians and Surgeons) last week were, from left, Kelle Moley, MD, senior vice president and chief scientific officer of the March of Dimes; 2018 SCRIPS Scholars Yash Choksi, MD, and Akshitkumar Mistry, MD; and Anil Rustgi, MD.